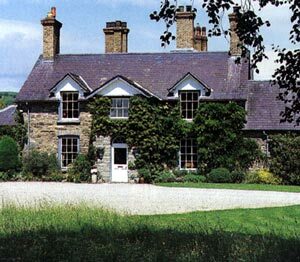 Tyddyn Llan, a small elegant Georgian Country House with an award winning restaurant and luxurious accommodation is in a peaceful location with beautiful gardens in an area of remarkable natural beauty. Husband and wife team, Bryan and Susan run one of Wales’ finest Restaurants using the finest ingredients available. The restaurant offers a wide choice of dining options with a set price A la carte menu and tasting menu and a extremely popular Sunday lunch, together with an exceptional wine list. Tyddyn Llan is the perfect place to discover North Wales situated on the edge of Snowdonia, very close to the Lakes of Bala and Vyrnwy and within an hours drive of Chester and the magical coastline of Wales. For the active persons White Water rafting, fishing, 4 x 4 driving, horse riding, cycling and walking are all to be enjoyed. If you are arranging a shooting party, weddings we have a civil ceremony licence, a small conference, a Christmas or New Years party or just a short break, Tyddyn Llan is that special place. 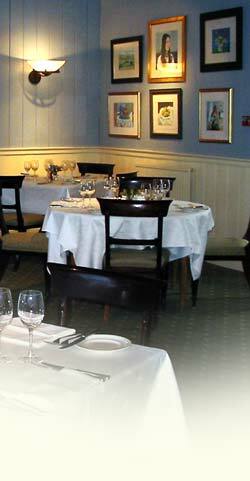 At Tyddyn Llan we have disabled access to the restaurant and ground floor bedroom. We also have helicopter landing facilities plus we welcome children and dogs are allowed in the bedrooms, but not the public rooms. Tyddyn Llan is now considered to be one of Wales' finest restaurants, with one of the highest rating in Wales in the Good Food Guide, and is committed to using only the highest quality seasonal ingredients, many of which arrive daily from our local network of suppliers. Meat and game come from local estates through our vigilant butcher, and the majority of fish direct from the Welsh coastline. Although we are as supportive of as much Welsh produce as possible, we look further afield for diver caught scallops from Scotland, Norfolk smoked eel, Buffalo mozzarella flown in from Naples and Label Anglais chickens from Wyndham Farm.